The recognition of the right to land, a historic demand by peasant movements, is gaining momentum at the international level. This publication takes stock of this major issue of our times. It is the result of major research and inquiry, and the fruit of close collaboration with La Vía Campesina. The second session of the intergovernmental group on the rights of peasants and other people working in rural areas was held in Geneva from 2-6 February 2015. A revised draft Declaration was presented. The new draft takes up most of the proposals put forward by peasants’ organizations at the informal consultations in November 2014. A large delegation from La Vía Campesina and other organizations attended the meeting. 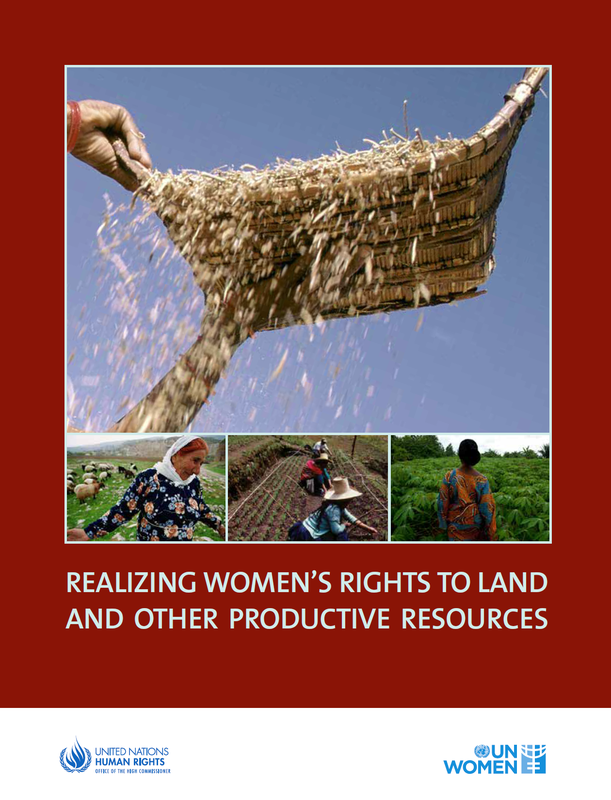 The purpose of this publication by UN Women and the Office of the High Commissioner for Human Rights is to provide guidance for lawmakers and policymakers to support the adoption and effective implementation of laws, policies and programs to respect, protect and fulfil women’s right to land and other productive resources. González Núñez, Denise, Peasants’ Right to Land: Addressing the Existing Implementation and Normative Gaps in International Human Rights Law (2014). Human Rights Law Review, Volume 14, issue 4, 2014, pages 589-609. Published by Oxford University Press. All rights reserved. The present report, submitted pursuant to General Assembly resolution 48/141 on July 2014, offers a human rights analysis of land-related issues, in particular on land management, States’ obligations and other actors’ responsibilities. It also lays out the criteria that States should apply when considering land and human rights issues in relation to specific groups and existing human rights.